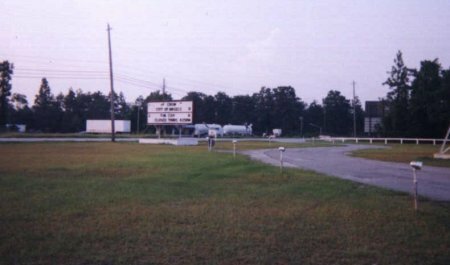 Please enjoy our list of the drive-in movie theaters in Georgia. 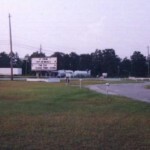 The Jesup Twin Drive-In maintains two screens that are open throughout the summer and show first run films. The cinema offers a full range of concessions, and the concession stand stays open throughout the whole film. 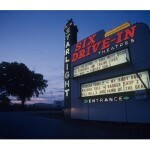 As the name implies, the Starlight Six Drive-In features six separate screens each featuring a different double feature. They feature coupons on their website, providing free drinks with certain food purchases. They also have special events such as concerts and Independence Day celebrations. 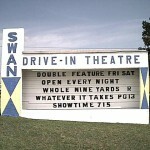 The Swan Drive-In shows movies every weekend, with a double feature on Fridays and Saturdays and a single movie on Sundays. They were founded in 1955 by H.W. Tilley, a veteran of the Normandy invasion, who discovered swans during his time in England and decided to name his theater after them. The theater provides a full concession stand. 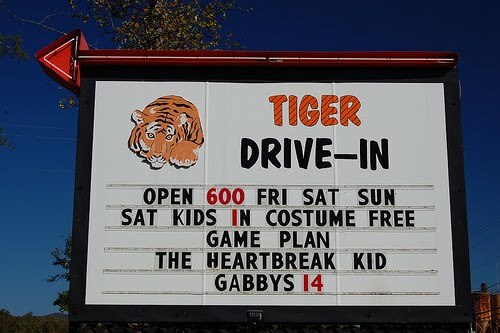 The Tiger Drive-In was founded in 1955, closed, but reopened in 2004. 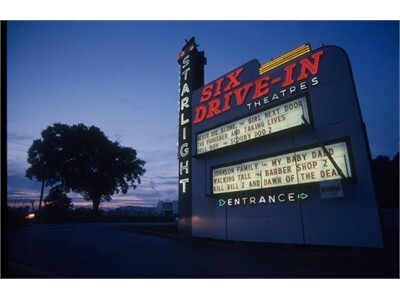 They are open weekends from Friday to Sunday, and provide a much wider experience than most drive ins. 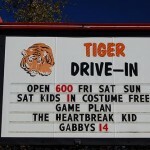 The Tiger Drive-In has become a center for local culture. 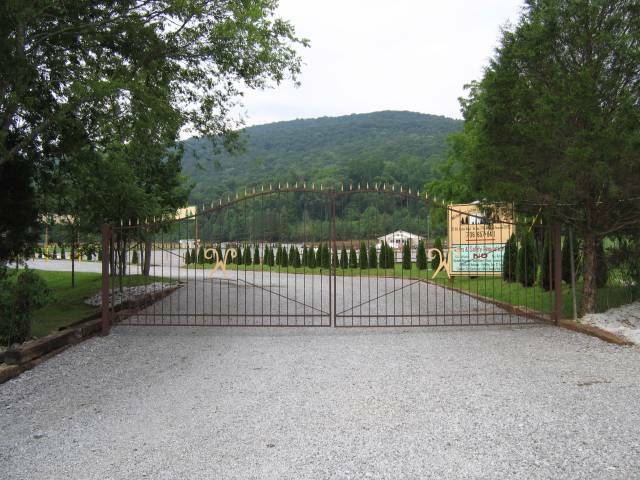 Before their films, they have a grill that opens, so you can come and have dinner hours before the film starts. They also have special nights, like “Hot Rod” night and local competitions like the “Tiger Idol Contest”. Pets are welcome. The Wilderness Outdoor Movie Theater is one of those things you very rarely see – a brand new movie theater. 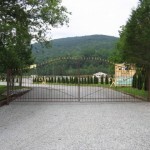 It opened in 2005, and, as a result, has brand new screens and equipment. 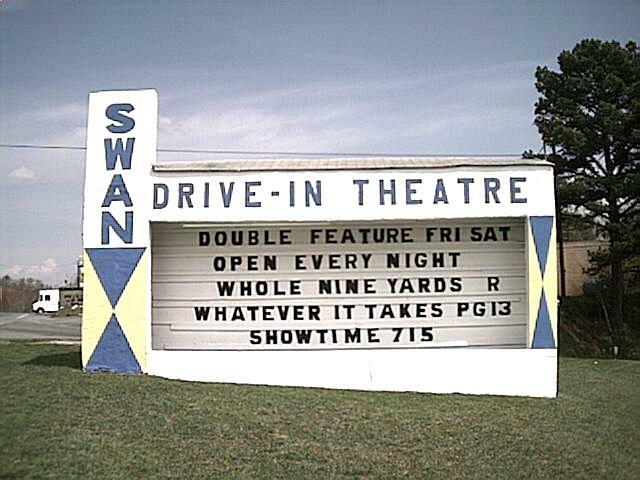 The theater shows two double features from Friday to Sunday nights every weekend. Outside food is not allowed.